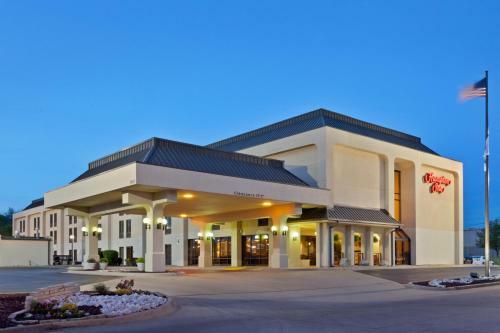 Located 4.5 miles from downtown Joplin, Missouri, this hotel is within walking distance of The Bridge entertainment complex. It features a daily buffet breakfast and rooms with a 32-in flat-screen TV. Each spacious room at the Hampton Inn Joplin is equipped with free Wi-Fi, free cable and a coffee maker. All rooms are decorated with warm colors, carpeted floors and a work desk. 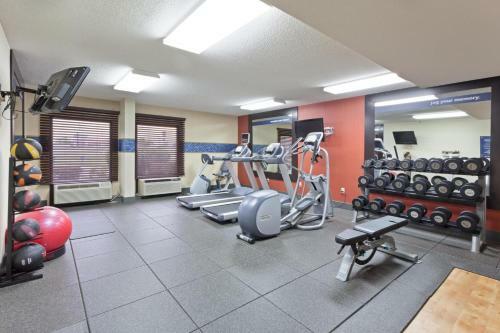 Free access to the hotel gym and outdoor pool is provided to all guests of the Joplin Hampton Inn. Laundry facilities and free parking are also available. Joplin Mall and Missouri Southern State University are both 11 minutes from the Hampton Inn. The George Washington Carver National Monument is 4.5 miles away. 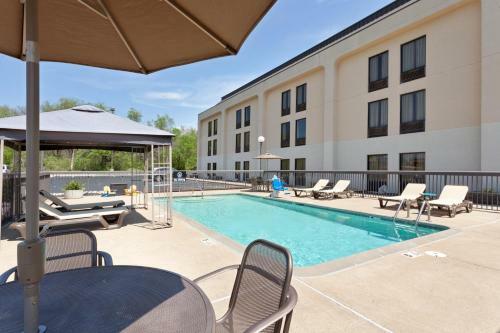 the hotel Hampton Inn Joplin so we can give you detailed rates for the rooms in the desired period.